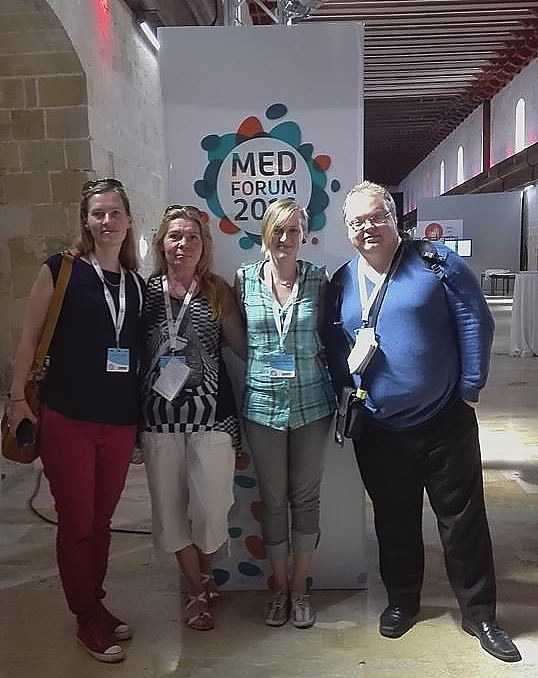 As Trajectory@ got granted a Project at the last call of the Anna Lindh Foundation (and for its work in Euro-Med context, of course), it was kindly invited to take part at MedForum2016. 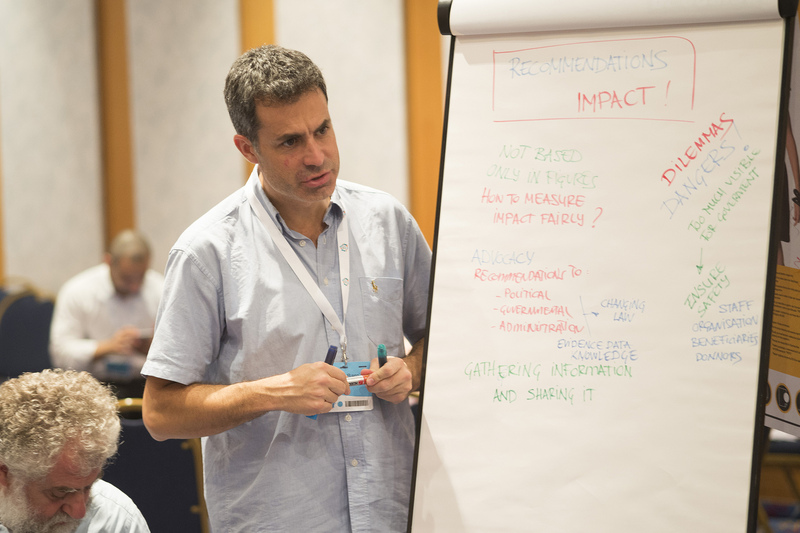 Trajectory@ NGO is a member of the Estonian National Network of the Anna Lindh Foundation. This year we have received the grant to further working on the methodology of Living Libraries, which was started two years ago. The new Project, “Expressions in Dialogue”, will last one year, will be within Euro-Med cooperation and it is a follow-up of the two previous Projects (supported by the Erasmus + Programme) in 2015 and 2016. The Forum is a great event, which took place every last two years and Trajectory@ took part in all of them, so far, which positively says about our contribution in development of the Intercultural Dialogue in Euro-Mediterranean. This is definitely a reward to us, which motivates the Organisation to keep on working and doing Human Rights Education. Apart of its powerful message, that Forum spreads, this is what it means to Trajectory@. It is a huge Networking Space with the capacity of enhancing the whole scope of activities and policies done, being done and though to be done. You can show your work and experience, know about the others, get to know the others and go further – network, strengthen your partnerships and develop the new ones. 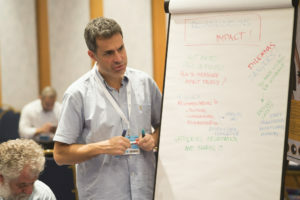 The meetings can be organised within the Forum and competences can be developed as well, though participation in the workshops and discussions. Against a backdrop of unprecedented regional challenges affecting societies to the north and south of the Mediterranean, the 2016 Forum agenda aimed to accelerate and scale-up the impact and reach of intercultural action to counter forces fuelling polarisation and extremism. The Mediterranean Forum of the Anna Lindh Foundation represented the largest civil society gathering and most influential process of is kind for intercultural dialogue across the Mediterranean region. The Forum connected a unique regional network of practitioners, policy-makers, media and international donors, united to create together real and lasting change in the face of the region’s most pressing problems. MED FORUM 2016 took place in Valletta from 23rd to 25th October on the eve of Malta’s first EU Presidency (first semester 2017) which has “renewing relations between Europe and the Southern Mediterranean region” as a priority issue. 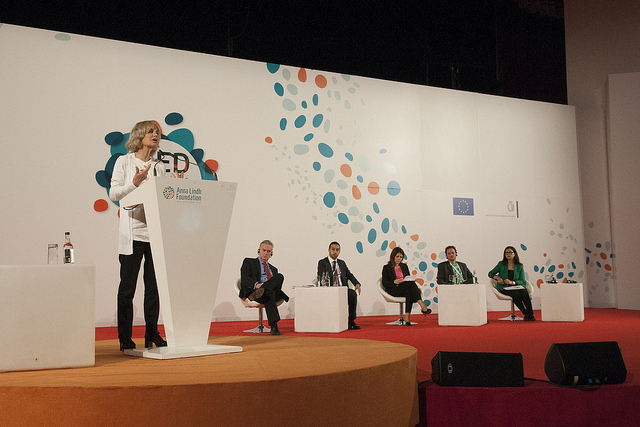 Alongside 800 civil society leaders selected through an international call for participation across the 42 countries of the Union for the Mediterranean, the Forum was attended by international media, policy-makers, parliamentarians, key-note speakers such as the Nobel Peace Prize Quartet for Dialogue and high-officials of the Foundation ́s main institutional partners, among them the United Nations, EU institutions, and Arab League. 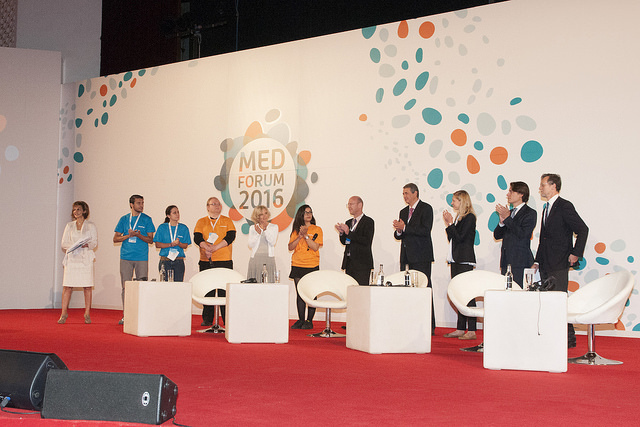 Click here to access the outcomes and outputs of the MED FORUM process.